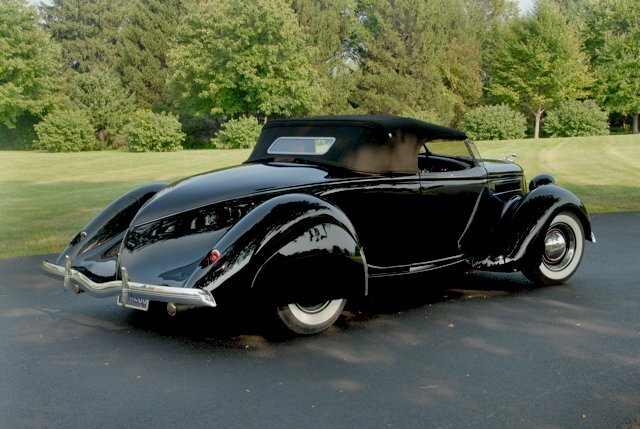 The concept for this amazing roadster began in the summer of 1942, in Atlantic City. 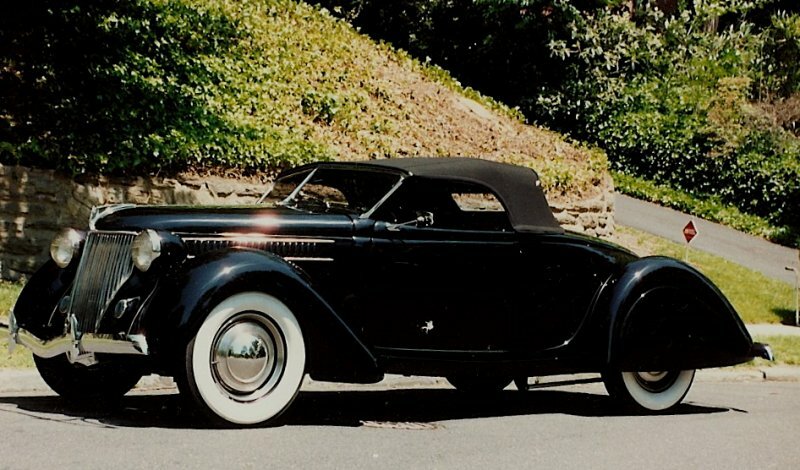 Norman had a friend who owned a 1937 Ford Roadster. That roadster had been in an accident, destroying most everything behind the doors. It true car-guy fashion, Norman’s friend used the damage as an opportunity. Instead of repairing the roadster back to stock, or replacing it all together, he had a custom boat tail fabricated and installed. 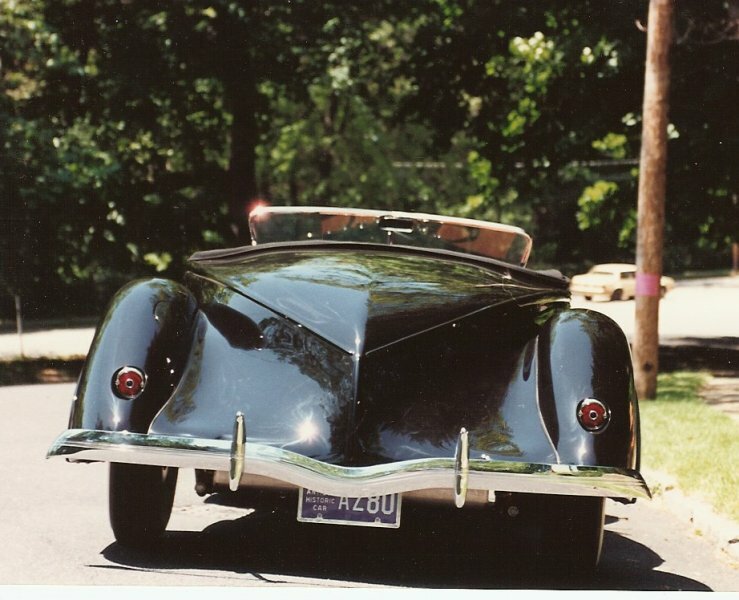 Also a true car-guy, and a Ford man, Norman appreciated and loved the Ford Boat Tail Roadster that his friend had created. He took a photo of it. And he looked at that photo from time to time, for 40 years. It was the early 80’s and the wheels began turning. 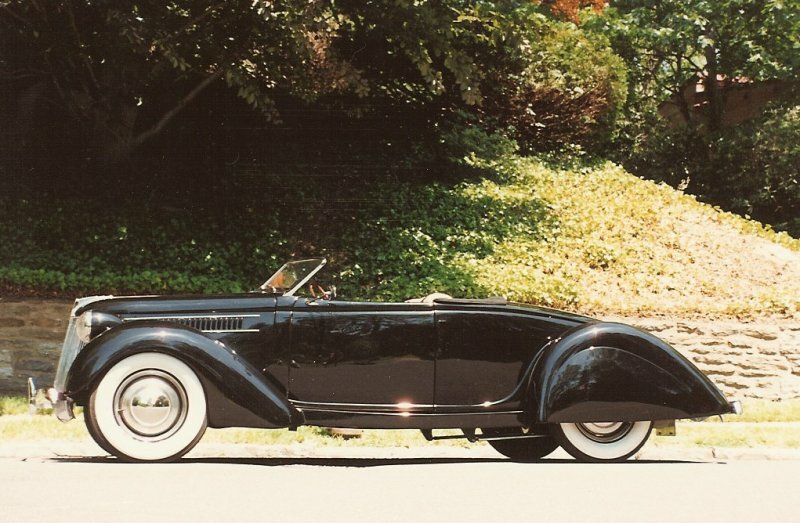 Norman has always loved ’36 Fords (as one can easily see by looking at his collection). His friends ’37 boat tail was interesting, but lacking in style and elegance. And Norman had just found a gentleman who was building ’36 Ford roadster bodies in fiberglass. It was time to start putting all the pieces together. First line drawings were created to get the proportions of the silhouette correct. Then a wooden plug was sculptured of the boat tail. A fiberglass mold was constructed of the plug, then used to build the boat tail. 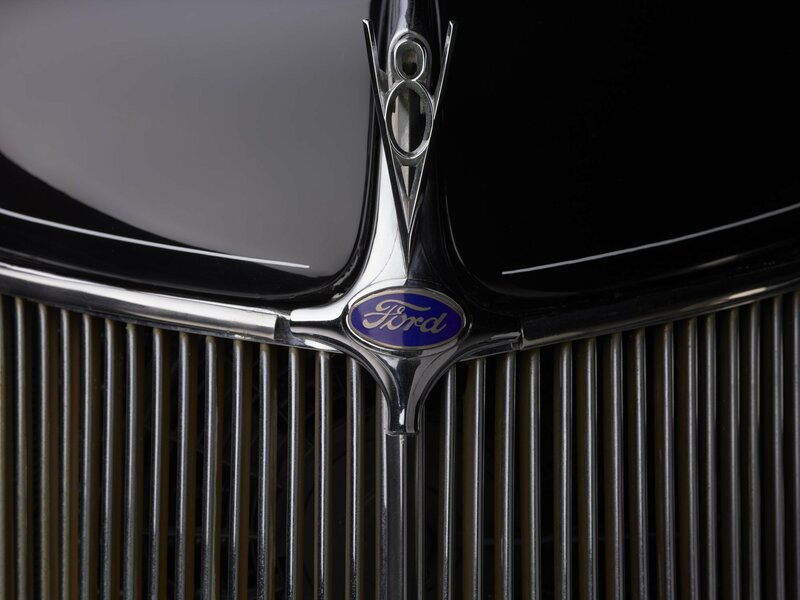 The tail was then grafted to a sectioned fiberglass ’36 Ford body, and mated to a sectioned grill and hood sides. The front fenders were peaked at the rear, and the rear fenders rolled under at the leading edge, allowing the removal of the running boards. A rocker panel was also constructed to finish off the bottom of the car and cover the frame. 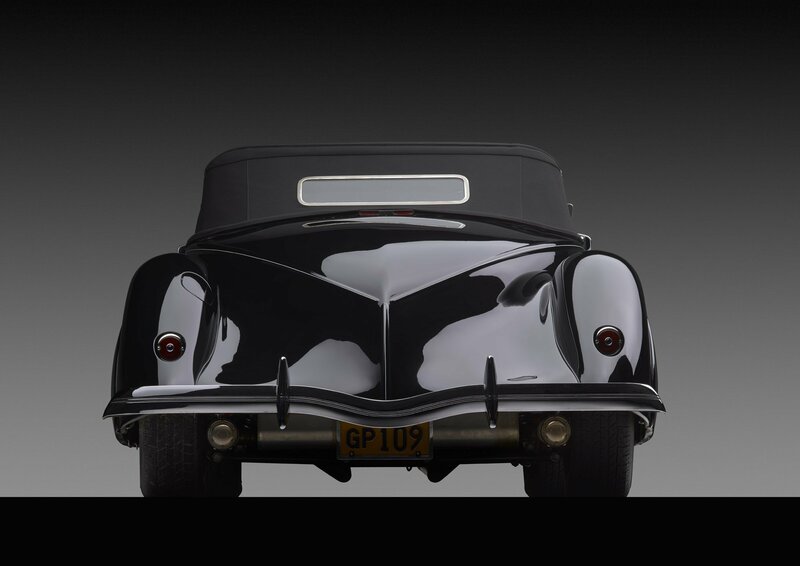 The rear fenders were molded from a plug that was built using two pair of ’36 fenders welded together. A duvall windshield was installed, as well as a German canvas folding top. The car was placed on a slightly modified stock frame, as chassis technology was primitive in the 80’s for the hot rod commuity. 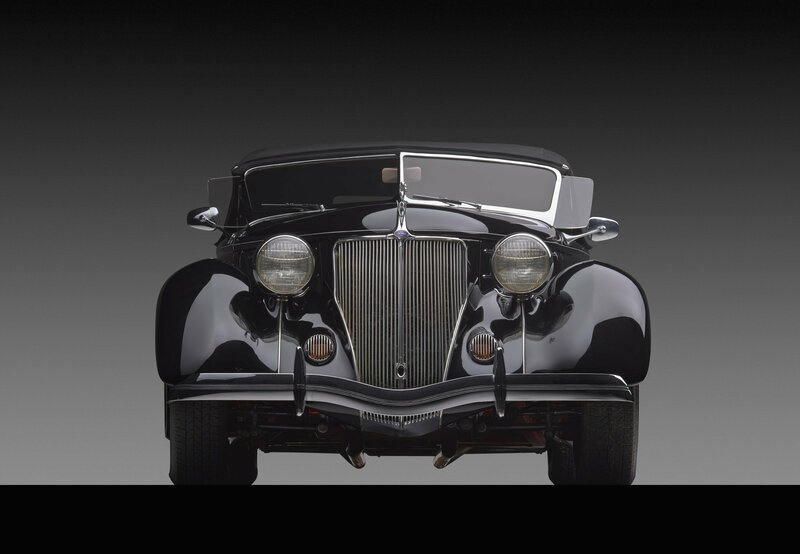 A Chevy 350 V8 engine and four speed manual transmission were used for motivation. 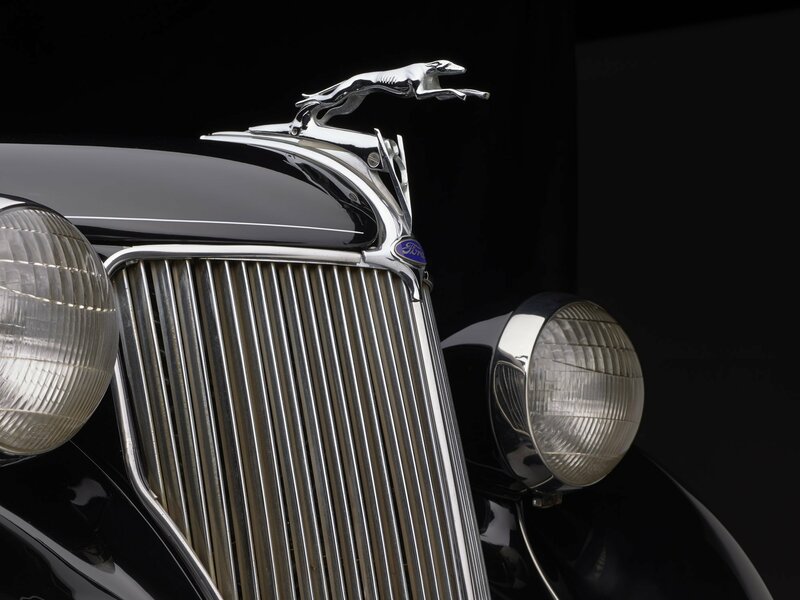 The car was then used and enjoyed for twenty plus years before a complete rebuild and modernizing. Street rod chassis technology has taken leaps and bounds in the last 30 years. Having several other cars already utilizing said technology, Norman knew it was time to bring this work of art into the modern times. A brand new boxed frame was constructed with a custom lowered center crossmember. Heidt’s Superide II front suspension system was installed, including power rack and pinion steering, tubular control arms, coil over shocks and Wilwood brakes. A Heidt’s Superide IRS was used in the rear, spec’d with tubular arms, Wilwood brakes and a 9″ Ford Posi differential. The Chevy V8 from the original build was reclaimed, but the transmission was upgraded to a performance built 2004R automatic overdrive unit. A custom polished stainless steel exhaust system was fabricated and installed. The only major body modifications this time around were made to the floor in the cockpit area. The floor was lowered to allow for more head room, and a new tunnel was built to accommodate the new transmission. The body and all of its panels were repainted in PPG basecoat/clearcoat, and hand rubbed to perfection. Once the body and chassis were reassembled the car was loaded with the usual, quality components in all of Norman’s builds. Flaming River tilt steering column, Vintage Air heat and A/C, American Autowire wiring system, SPW wipers with intermittent, VDO gauges, Lokar products throughout, etc. The interior was also freshened up, starting with 8 way adjustable power seats. 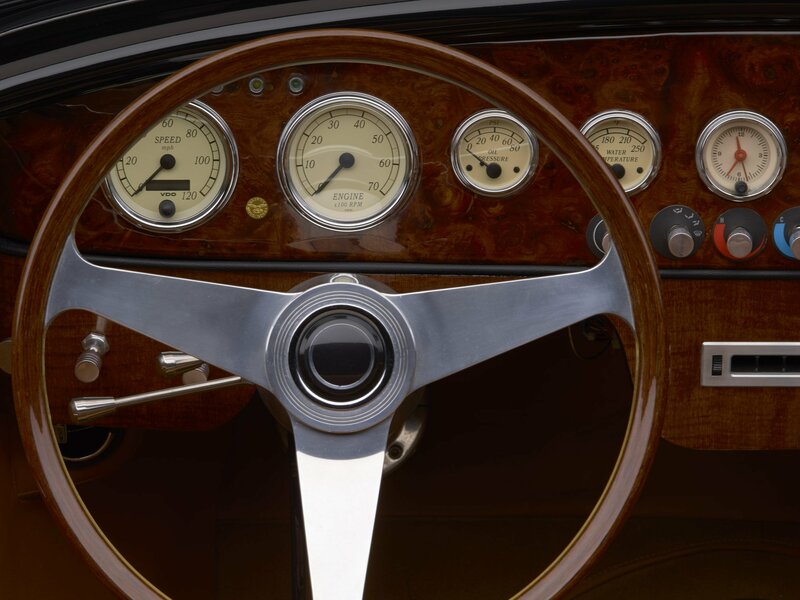 Hand stitched leather covers everything, and custom wooden dash panels compliment the wood rimmed Nardi steering wheel. 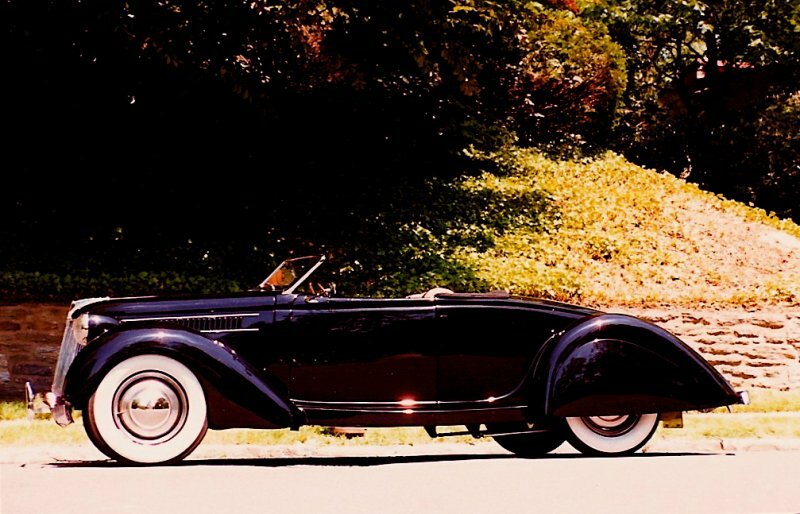 Wide white radial tires, fender skirts and custom wind wings are the finishing touches to this gorgeous one of a kind Ford Boat Tail Roadster of Norman’s. For more information on this car feel free to contact Jake Queen, Queen’s Automotive Inc at 610-966-4310 and he will be happy to discuss it with you.